The C-Suite is getting bigger. 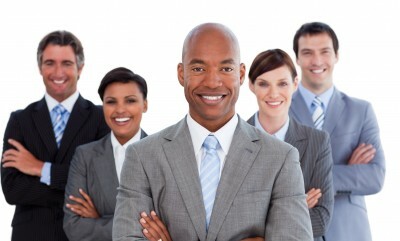 Recently, the Wall Street Journal published the article Firms Hail New Chiefs (of Diversity). As it’s fittingly articulated in the WSJ piece, 60% of the Fortune 500 has a Chief Diversity Officer or Diversity leadership position. As recently as ten years ago, the thought of a dedicated Diversity leadership role did not exist. We continue to see a growing trend in companies turning to diversity to improve the workforce (recruiting & retention), the workplace (company culture & employee morale) and the company’s reputation in the marketplace. And as it turns out, this is a good thing for business and the bottom line. “While some companies undertake diversity initiatives to drive increased employee involvement or better their ability to attract talent, there is almost certainly a profitability motive as well. Major corporations recognize that their customer base is rapidly changing, especially with the major population increase of the Spanish-speaking community. The companies must be able to understand and address their customer’s needs”. Turnover is a drag on business. When there is a poor perception of opportunity (i.e. the glass ceiling), minorities and women will leave the company to pursue careers where they can flourish. They may even be drawn to the other company’s own diversity leadership or diversity initiatives. Furthermore, distributing the job functions of the exiting employee puts strain on the shoulders of other employees within the company, which results in more employees leaving. CDOs play a key leadership role in recruiting, mentoring, and maintaining this diversity and inclusion within the company. By having an effective diversity and inclusion program, companies will see morale boosted by an enhanced culture and less turnover. And vice versa, improved morale leads to less turnover and strain on employees. Minority employees are taking on increased leadership positions and playing a critical role in teaching and training new employees – a very valuable aspect to the overall sustainability of any company.All companies invest large sums of time and money to train their employees. As employees gain more experience, they are given more responsibilities and rise up the ranks to middle management. If minority and women employees are leaving because they perceive this road to be a dead end, the cost to recruit and train a suitable replacement can be substantial. What happens when a company is not fully embracing the benefits of a diverse workforce? Companies will likely experience higher turnover rates (in comparison to companies with Chiefs of Diversity) in women and minority employees who leave their respective company when they see no opportunity for advancement. Unfortunately, many companies hire diverse candidates for the wrong reasons. Typically, the human resources team is tasked with hiring people from diverse backgrounds, but they aren’t responsible or accountable to lead diversity and embed it into the culture of the organization. As is the case with any C-Level search, finding the right CDO is likely to be the difference between a successful diversity program and a poorly designed one. Start by looking at your current employee talent pool and the makeup of your customer base. What business or strategic goals will be impacted by hiring the right CDO? At Slayton Search Partners, we begin by understanding the business, the leadership team, and the marketplace in which the company operates and determining the right combination of skills and experiences for that particular situation. Our experience and professional networks give us access to the right diversity leadership for the position of CDO. By hiring a Chief of Diversity, you are creating a position and an environment where diversity is recognized as a key driver in the long-term success of the business like any other business-critical decision. Simply having a diverse workforce is not enough; companies need to embrace and embed diversity that starts with finding the best diversity leader.